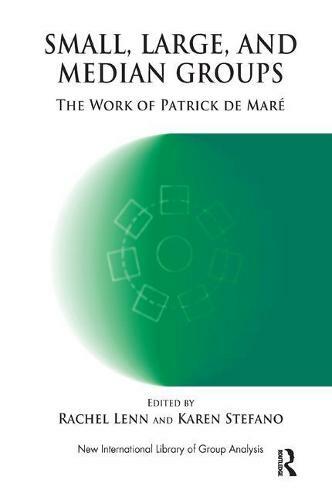 'This book is a remarkable tribute to the memory of Pat de Mare. You will find in these pages a selection of his work that represents his new and different understanding of groups, both large and small, that has not only had a significant impact on the practice of group therapy in his lifetime, but also a potential for revolutionizing current thinking both now and in the future. The editors are owed a great debt of gratitude for putting so much important work together. They have organized the book around three sections on the small, median and large groups. What is particularly moving is that each section is introduced by some of Pat's closest friends and colleagues. These introductions are not only invaluable preparation for reading the articles by Pat that follow, but are also a poignant tribute to the writers' lives, work, their thinking and much happiness that came from their close relationship with Pat.